Isabella’s Toy Box was created in 1999 and first published on a range of over 100 greetings cards in 2000 for www.greatbritishcards.co.uk. Isabella’s Toy Box has featured on confectionary, clothing, gift & baby product for Boots, Marks and Spencers and most recently (2012-Feb 2014) on an extensive range (which included Toys, Bedding and Clothing) in Mothercare. 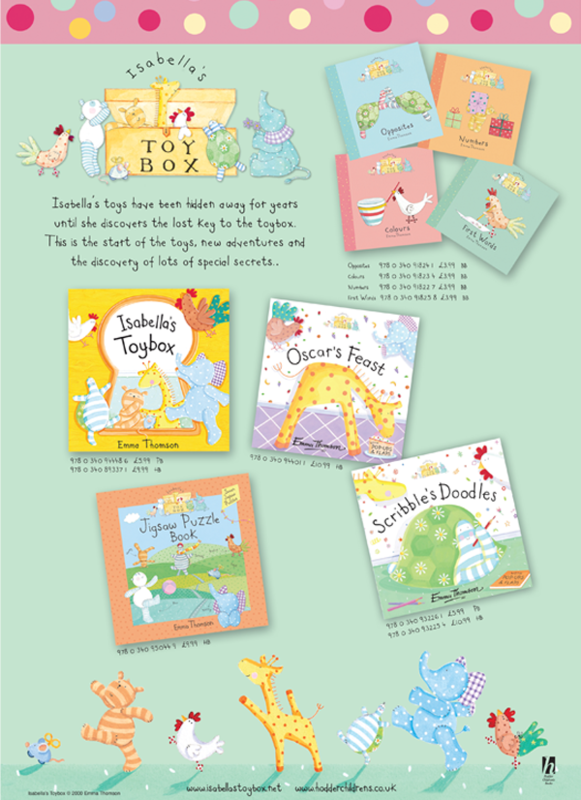 There are 17 Isabella’s Toy Box titles in the series of books featuring the eight toys and their adventures, published in 9 different countries. 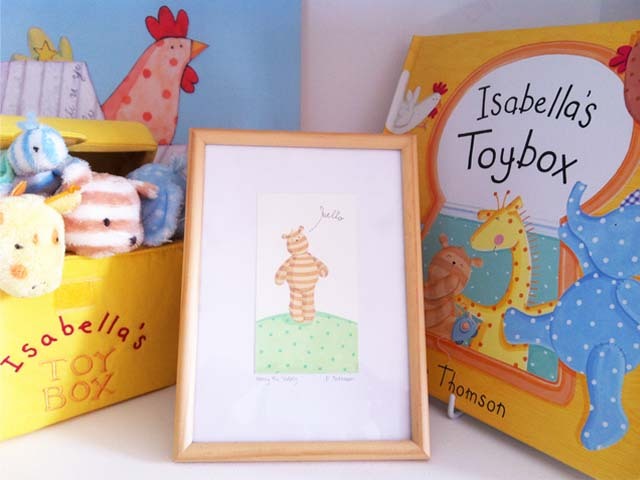 Watch Emma Thomson talking about Isabella’s Toy Box here. News and updates Follow @IsabellasToyBox.